The National WIC Association (NWA) invites you to attend our 28th Annual Washington Leadership Conference scheduled from Sunday, March 4th through Tuesday, March 6th, 2018. Access to this Conference is limited to the capacity of the main venue's general session meeting room, which is currently set at 220. Registration will close when this number is reached. The conference will provide a forum to discuss Federal initiatives affecting the health and nutritional well-being of WIC mothers and young children as well as service delivery and the effective management of the Program. More details regarding the conference agenda will be available in the Fall of 2017. We invite you to help NWA ensure policymakers at all levels of government appreciate the real value of WIC. Read through the final agenda. We encourage you to register online. You must have a profile to register online. See instructions on creating a profile and logging in. Registrants using a Purchase Order (PO) or check, must select the "Bill Me" option from the online registration system when registering. Fax to 202-387-5281, or email to registration@nwica.org. To obtain our Federal Identification Number, please call us at 202-232-5492. It is our policy to assess a processing fee for all cancelled registrations. To cancel your registration, a written request MUST be received by NWA to registration@nwica.org or faxed to 202-387-5281 no later than close of Business on January 26, 2018. Cancellations received before or on January 26, 2018 will be refunded, less a $75 processing fee. No refund will be granted for cancellations received after January 26, 2018. NWA regrets that refunds will not be granted for "No-shows." The overflow hotel will be the Hilton Garden Inn Washington, DC/Georgetown. Attendees can call in and make reservations by phone at 202-524-7809 or 1-877-STAY-HGI and reference the NWA Leadership Conference or online here. The Hilton Garden Inn is 0.1 miles away from the Westin Georgetown. Situated in the stylish West End district of the nation's capital, The Westin Georgetown, Washington DC, enjoys an unbeatable location. You are moments away from Embassy Row, the White House, Georgetown Park Mall, John F. Kennedy Center, George Washington University and a host of other fun places to see and visit. You are also just a few blocks away from Foggy Bottom Metro Station next door to George Washington University. The Westin Georgetown is sold out at this time. The negotiated conference hotel room rate is the Federal Per Diem currently set at $242.00 single/double per night, plus a nightly room tax of 14.5%. This rate only applies to Saturday, March 3rd thru. Tuesday, March 6th, 2018. Attendees making room reservations outside these dates, may have to pay the hotel's prevailing room rates. Note that the average nightly room rate may be over $300.00. Please note that NWA does not have any control over the hotel room types. To request a particular room type, you must discuss this with their reservations department when making your room reservations. 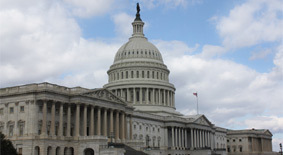 The Westin Georgetown Hotel is located 5.45 miles from the Ronald Reagan Washington National Airport, an approximate 9 minute ride, by taxi or shuttle. Also, Metro is accessible from the airport. Take the BLUE LINE heading towards Largo Town Center. Your stop will be the sixth stop at the Foggy Bottom/GWU Metro Station. View a map of the Metro. For more information, please call our office at 202-232-5492. If you have registered for the conference we encourage you to join us in networking before, during and after the event. 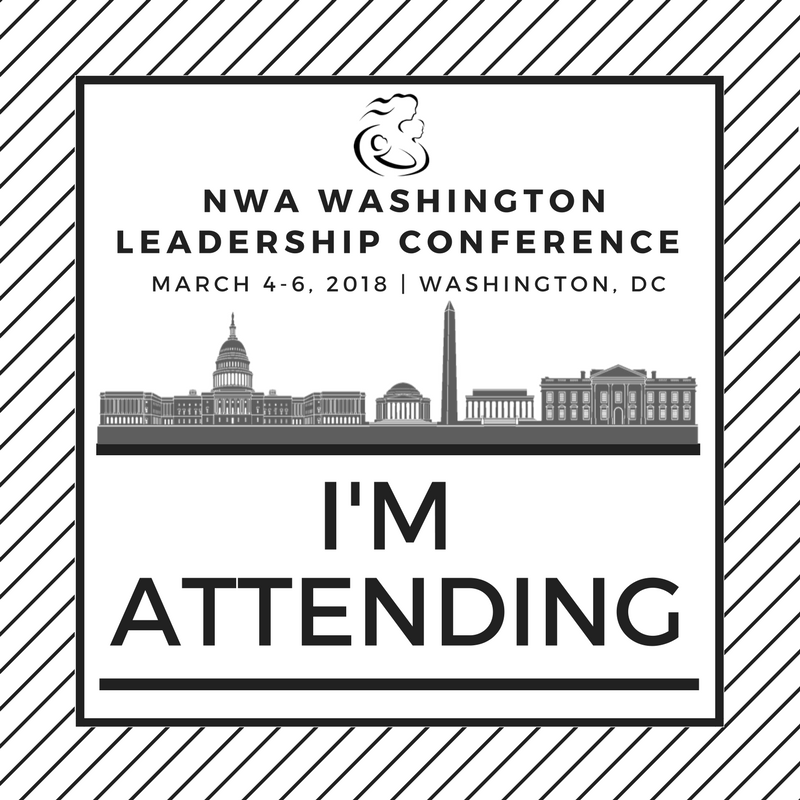 Spread the word and let everyone know that you'll be at the 2018 NWA Washington Leadership Conference!